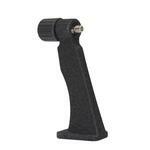 This sturdy metal 3D tilt head gives you a panorama of nature as it can be easily pointed in any direction. 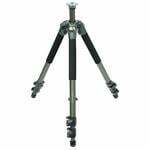 The large comfortable handles let you freely move it around in three different axes, giving you maximum flexibility when using your camera or binoculars. Not only can you turn a full 360° in azimuth, but even pointing directly upwards to the zenith is possible, which is otherwise often problematic. The 5kg carrying capacity means the pan head is sufficiently stable for most optics. 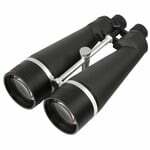 Large cameras, camcorders or even large 20x80 binoculars for nature watching and astronomical observing can be mounted without problem. 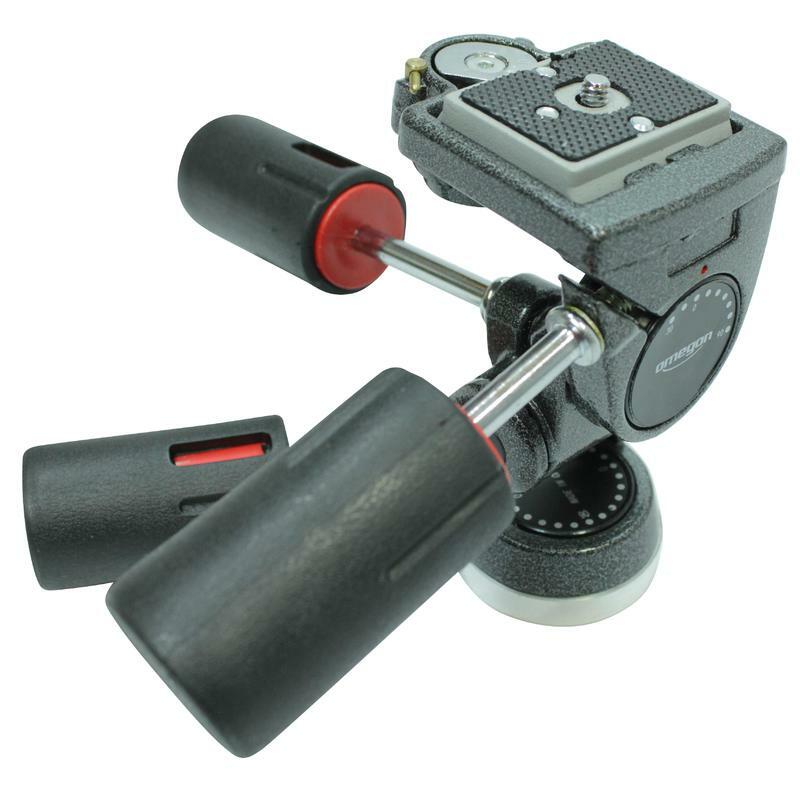 A quick-release plate helps you to mount your instruments easily and extremely rapidly. 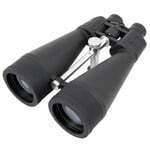 The ¼" photo screw provides lets you mount virtually any binoculars or camera. 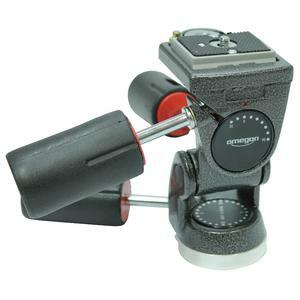 Simply set your equipment, with the plate attached, onto the tripod head and it slots securely into place in the quick-release mechanism on the pan head with an audible click. There is also a small safety lever provided with which you can lock the quick-release mechanism. Are you still asking yourself 'where does it fit'? 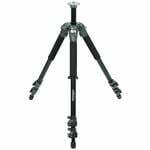 Dead simple - the Action Grip has a 3/8" tripod thread which fits all Omegon Titania tripods and also many tripods from other manufacturers.